Kids participate in a Rwandan drumming workshop with Habimfura Maurice at an event in Portland honoring Martin Luther King Jr.
PORTLAND, Maine - Maine families gathered Monday around the state to honor the legacy of Martin Luther King Jr.
At an afternoon event in at the Holiday Inn Portland, more than 100 children, parents, artists and community members participated in hands-on theater, music, poetry, visual art, Rwandan drumming, storytelling and other creative activities together. 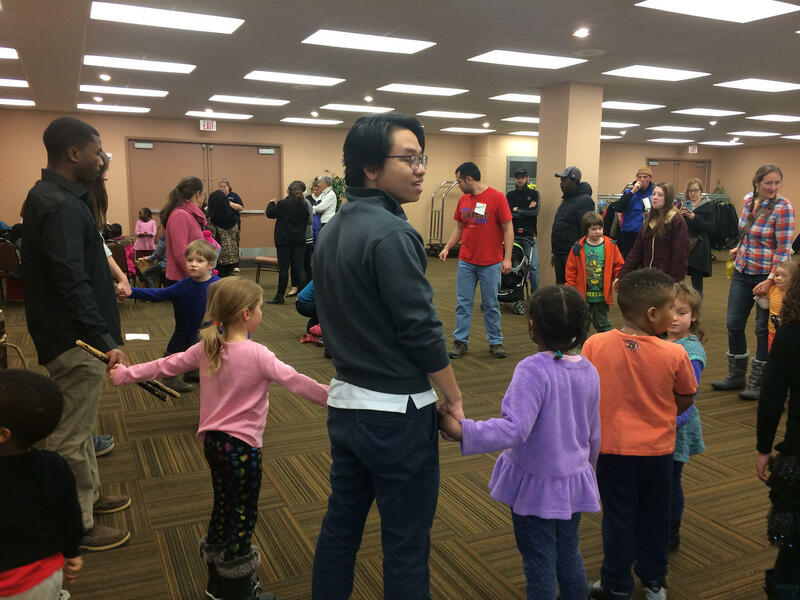 The annual celebration was organized by several community groups, including One Tree Wholistic Learning Center, NAACP Portland Branch, AmeriCorps and the Portland Housing Authority. Juilery Brice, an 11 year old student at King Middle School in Portland, says she has been learning about Dr King and other civil rights leaders in school. 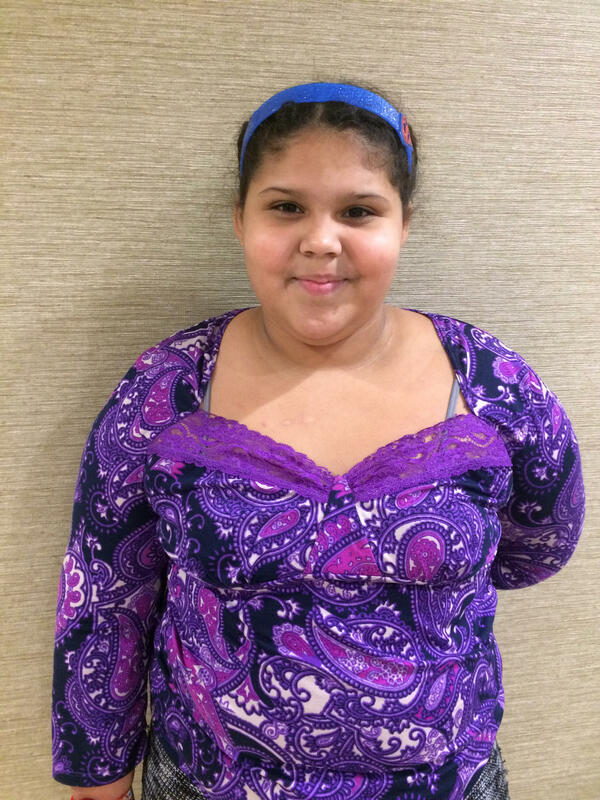 Juilery Brice, an 11-year-old student at King Middle School in Portland, attended the event. She says she has been learning about King and other civil rights leaders in school. "Martin Luther King, technically, he was the first one to ever stand up for African-Americans - and African-Americans, Haitians, Dominicans," she says. "My dad's Haitian and Dominican. So, technically, my whole life matters right now." Kiden, another participant who did not reveal her last name, attends East End School in Portland and participated in an arts and crafts activity. She says she has admiration for Dr. King. "I like how he stood up for black and white people, and how he said it was not fair that black people didn't get treated as white people did. " Local artists led activities focused on the theme "this is home." Organizer Jen Craven, says the and other organizers are hopeful that youth and parents at the event feel refreshed, accepted, and excited to be a good neighbor. "I think the biggest statement that we were trying to make is we want to have our children, our youth feel like you own this, this is your house this is your home." 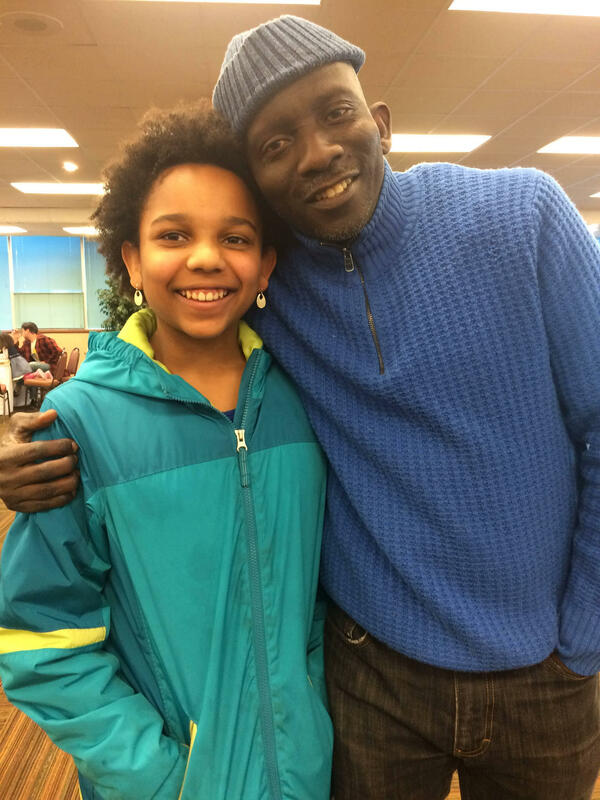 Portland City Councilor Pious Ali and his daughter Rahmat, a middle school student. Dia Su, a junior at Bowdoin College helped lead art activities with young children. "I don't think that we live in a post-racial society, I think that we have a long way to go. As a person of color myself, I grew up in a very white neighborhood and I never recognized my own diversity racially. But I think it's important to bring about discussions about marginalized groups of individuals from a young age so that people don't need to grow up the way I did, very sheltered." Portland Public Schools Superintendent Xavier Botana, who attended the event, says he supports Dr. King's legacy of work focusing on equity in education. Botana says that Portland Schools are working to ensure that teachers reflect the diversity of the students in Portland schools. Families join hands in a celebration of Dr. Martin Luther King Jr. Monday afternoon in Portland. "One of our goals is to have one of the most talented and diverse group of educators that we can assemble. So we have very specific efforts in place to try to increase the number of teachers of color." Portland City councilor Pious Ali attended the event with his 12-year-old daughter. "Today is one of those days where our kids get to meet with kids who are different than them, or who look like them but they don't normally get to interact with. There is no better day for us to do this than today–even thought I do believe we should be doing this every day. "